Ironically, the first published psychological analysis of heroism wasn’t completed by a psychologist. In 1949, Joseph Campbell, a comparative mythologist who studied medieval literature and world religions, wrote a remarkable book called The Hero with a Thousand Faces. The volume became one of the most widely read and influential books of the 20th century. 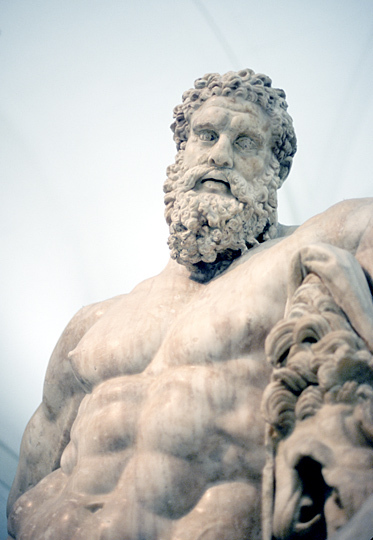 While studying hero myths from around the world, Campbell noticed a distinct pattern. It didn’t matter where or when a particular myth was created; the world’s hero stories were all strikingly similar to one another. According to Campbell, in these stories “a hero ventures forth from the world of common day into a region of supernatural wonder: fabulous forces are there encountered and a decisive victory is won: the hero comes back from this mysterious adventure with the power to bestow boons on his fellow man.” Campbell proposed that this prototypical heroic journey, which he called the hero monomyth, consists of three parts: departure, initiation, and return. The departure phase involves the forces that set the hero’s journey in motion. The hero is thrown from the safety and comfort of the familiar world into a dark, dangerous place. Often a guide or a sidekick offers assistance. The initiation stage features a series of tests or challenges that the hero must overcome. Temptations of the flesh, or a battle with a father figure who must be vanquished, are quite common. Upon returning, the hero brings a great boon, or benefit, to the world. Not only is the returned hero forever transformed, so is the society that receives the boon. The hero archetype, then, can explain the pervasiveness of the hero monomyth found in human societies across time and geography. Human beings, in effect, may have a biological readiness to encounter heroes and to resonate to hero stories that fit the Campbellian monomythic structure. George Lucas, the creator of Star Wars, admits that he based the characters and plot of Star Wars on the hero monomythic structure he encountered in The Hero With a Thousand Faces. Disney movies such as Aladdin, Beauty and the Beast, and The Lion King are said to have been influenced by Campbell. Musical artists such as Bob Dylan, Jim Morrison, and Jerry Garcia of the Grateful Dead have all produced work based on Campbell’s hero monomyth. For his enduring impact on the way we think about human experience and the hero’s journey, Joseph Campbell is one of our intellectual heroes. Do you have a hero that you would like us to profile? Please send your suggestions to Scott T. Allison (sallison@richmond.edu) or to George R. Goethals (ggoethal@richmond.edu). I don’t care for the term “collective unconscious,” since it sounds too much like telepathy or something; but all Humans do have a common psychology underlying their individuality, and that’s what makes archetypes and the universality of basic mythology a real thing. I love the statement, “The adventure of the hero is the adventure of being alive.” The impulse that ignites heroism is present in everybody; it’s the synergy of life’s intrinsic opposition to entropy and the self-aware mind’s compulsion to rationalize. His book is fascinating and very in-depth, however his heavy reliance on the Freud's Psychoanalytical Theories is out-dated today. I think more modern work would probably use a more diverse and brought spectrum of psychology theories to analyze heroes and dreams. Campbell’s ideas about the hero and the heroic journey are really insightful and right on the mark. Most epics and other heroic stories do follow the departure, initiation, and return phases described by Campbell in “Hero with 1000 Faces” and have similar psychological trials that each hero must face. These psychological barriers also correspond to issues that we have in our own lives, which supports Campbell’s assumption that we like these stories because they tap into our ‘collective unconcious’. Although perhaps not a hero in the traditional sense, Campbell is certainly an intellectual hero due to his efforts to help us understand the elements of the hero story and why we like them so much. Powerful, powerful statement. Great synthesis of Campbell’s work, Scott! 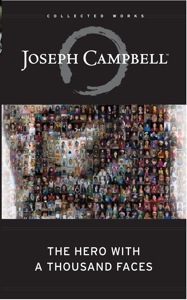 Now that I have read the book by Joseph Campbell, I really think he is a hero. Before reading this book, i never really thought about the hero’s journey, but now that I have I use it when I watch any movie!! Thank you for this blog recognizing everyday heroes. God bless those who take time for others, to look, listen, care, share, invest and impart their heart. Heaven help us to live with such heart, compassion and when the need arises act heroically.